Amazon Studios provided ComingSoon.net with the opportunity to chat 1:1 with director Luca Guadagnino (Call Me by Your Name, A Bigger Splash) about his supernatural horror remake Suspiria. Check out the interview below! Suspiria will officially debut in theaters in New York and Los Angeles on October 26. ComingSoon.net: Dance is a huge part of this film, just as important as it was in something like “The Red Shoes” or “Black Swan.” How involved were you in the actual choreography? Did you have to learn a lot about the technicalities of dance? 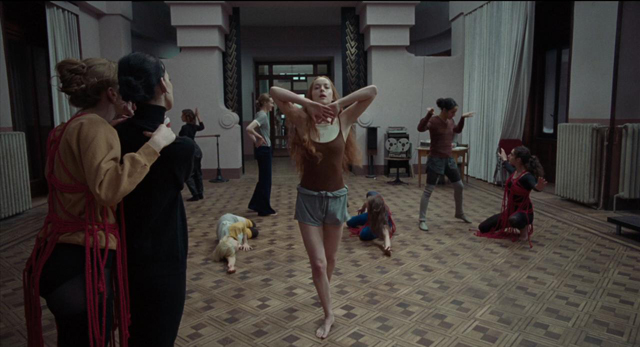 Luca Guadagnino: Well, I am naturally drawn to dance in general, as a viewer. I love dance and I love choreography and I try to expose myself to great dance as much as I can, going to theaters and watching the outcome of great choreographers. Also, someone who works with me is one of the greatest experts of dance. And for this reason I had inquired him about who would’ve been a great voice to invite to make the choreographies here. Damien Jalet was one of the persons that he proposed me, and I immediately loved his art. He’s a great choreographer already, he’s established at a very high level in Europe. When we started talking, me and Damien, our point of conversation started on the concept of what was the experience of the avant-garde dancers and choreographers back in the time of where the movie is set. Plus, the fact that we wanted to make sure that this dance that we were going to pull off was going to be something that was tied with, let’s say, avant-garde, but also something ancient because as we know witches are there since a long time. CS: When you first set out to do this film, what was it that you thought you -given your previous work- could bring to the horror genre? Guadagnino: Well, I am a big fan of horror. I always wanted to make horror films. If you ask my mom, my dad, my sister, my brother or people that are really close to me since a long time, they will tell you, “Oh no, Luca just wanted to make horror films.” And you know, life is life, and I went on not doing horror films until I am 47, but it’s really part of my absolute imagery, that I love horror cinema. 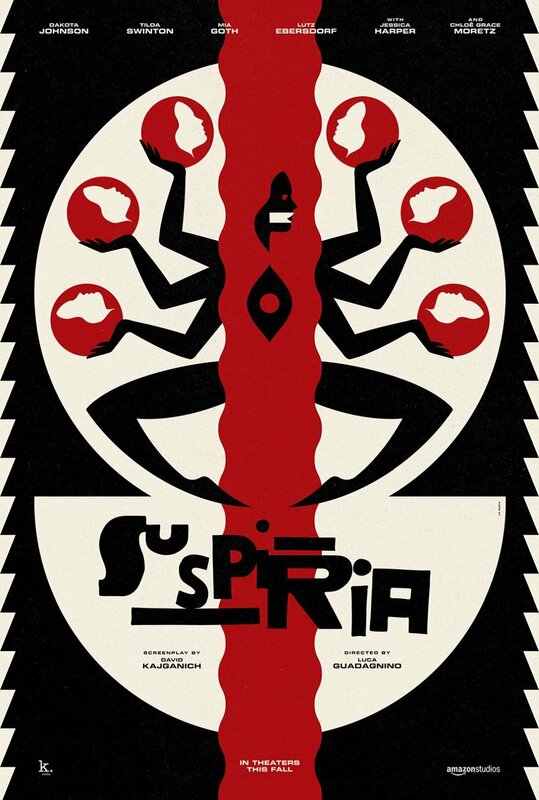 CS: Uou involved with the version of “Suspiria” that David Gordon Green was going to do years ago, correct? Guadagnino: Yes, of course. I purchased the rights to do a remake of the movie in 2007, and I had met David in a festival. I always had a great admiration for him, and at the time I felt it was a great idea for him to do it, and we tried. For many reasons, the movie didn’t happen. So, after that version didn’t happen, a version that he was going to direct and I was going to produce, I ended up being the director of it. CS: Right. And obviously, he developed that and cast that a little bit. What would you say are some specific things that are different from your version than from the one he was going to do? Guadagnino: Oh no, those are two completely different films. I think we should not talk about him. It never happened. I think we should talk about something that has happened. If we speak about David’s film, first of all, you should ask him, not me, and secondly, it’s an unreal movie hypothesis. Guadagnino: No, no, listen. I love David. I am a big fan and I am so proud that we have our two horror movies out more or less in the same week, so it’s fantastic. CS: It’s such an amazing synchronicity. Obviously this movie is very different from the original. In a lot of ways it reminded me of when David Cronenberg did his version of “The Fly,” which is 180 degrees different from the 1950’s version. Has Dario Argento seen the film, and what was his reaction? Guadagnino: Dario saw the movie and he released a statement saying that his movie was brutal and my movie is tender. That’s what he said. CS: You reference the “Three Mothers,” which relates to the whole trilogy that Argento did. If you did a sequel to this, would it find inspiration in “Inferno” and “Mother of Tears” or would you go in a totally different direction? Guadagnino: First of all, I made references to the concept of the Three Mothers that Dario took off from Thomas De Quincey’s “Levana.” So we are referring to the same text. He didn’t do a trilogy. He made a movie called “Suspiria,” where only the title “Suspiria” is drawn by the Thomas De Quincey book. 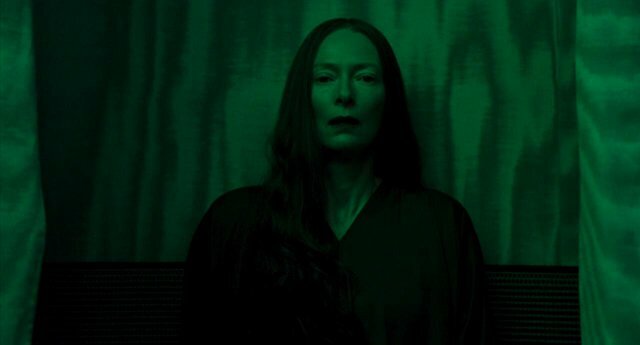 Eventually, he made another movie that is a totally separate thing called “Inferno,” in which he addresses directly the concept of the three mothers and focuses on Mother Tenenbrarum, the mother of darkness, in New York. Then he made -many, many years later- a third chapter called “The Mother of Tears,” which is a sort of continuation of the obsession that he has for the Thomas De Quincey idea of the three mothers, but is not linked in any ways, neither to “Suspiria” nor to “Inferno.” So he did not do a real trilogy, and he did not do something that was constructed from the premises. He ended up making a film that touches somehow to the concept of Thomas De Quincey’s Three Mothers, and somehow more directly, somehow less directly. We did “Suspiria” by really acknowledging the reference of Thomas De Quincey, and that’s why we have the Three Mothers. Because, as you see in the movie and as Dr. Klemperer would say, those are maybe metaphors. I don’t know. I let the audience discover that. And regarding making a trilogy myself, I think the most important thing now is to have the movie out in theaters. CS: Like you said you left a lot to the audience’s imagination, and it was a little vague as to how this coven of witches uses their power. In your mind, how do you think they operate on the world at large? Guadagnino: I don’t think people operate in the world at large. Their powers are always, more importantly, some powers that relate to each other. I would not venture into any kind of a bigger picture dystopian thing, like “Final Conflict” does, the third chapter of the trilogy of Damien, “The Omen.” I don’t know. It is something that doesn’t make me as passionate. I’m not sure I would prefer to think of the way in which power exerts its own means in the relationship with the other. CS: You brought Jessica Harper back for a small but vital role toward the end. Was there any sort of specific significance in casting her in that role, because she is literally a spirit from the past? Guadagnino: You said it, possibly. I also think that she’s an incredible actress. I’ve been a big fan of her work since I discovered her when I was very young. I had a great time working with her and I cannot wait to do it again. CS: I’d heard it was actually an arduous editing process on this film. What were some of the challenges that you found in the editing room? Guadagnino: I wouldn’t say arduous. I would say that to me and my editor, Walter Fasano, we have a specific way of working. We believe that the editing is the final time of writing a movie. It’s very important as a process, and it’s about finding the right tone, pace. Sometimes, it’s quick. Sometimes, it’s not quick. CS: Did you shoot a lot of coverage of the dances? Was that a specific thing that was hard to click? Guadagnino: I have never, in my entire career made coverage. I do not do coverage. I do not believe in coverage. I think it’s a travesty. Any good filmmaker should avoid doing coverage. What I do, I film the sequence trying to capture with the images that I need for the sequence. So we didn’t go for 100 hours of material on the dance, and then trimmed it. Everything you see has been specifically shot in order to be in the film. CS: I think that’s a better way for anybody to work. My last question is… You said you’re a huge horror fan, and obviously this is a loose remake of Dario’s film. Do you have any other horror projects that are original projects that you’re hoping to develop?